See art blossom before your eyes as Gardens by the Bay takes inspiration from one of the Netherland's most celebrated artists, Vincent van Gogh, in this year's Tulipmania. 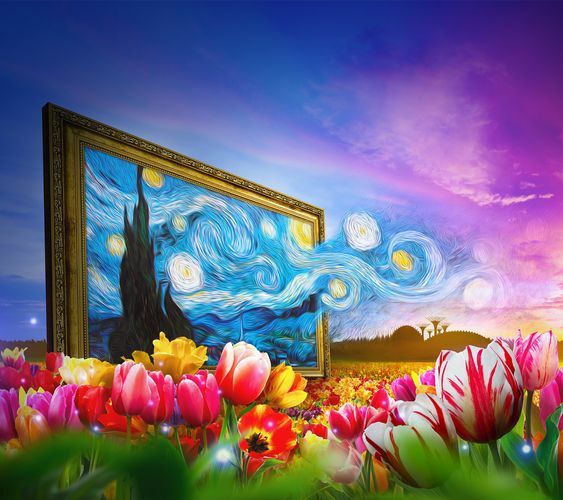 Be enthralled as the Flower Dome transforms into a floral gallery where Van Gogh's self-portrait and famed art piece "The Starry Night" come to life with the vivid hues of tulips. More than 100 varieties of tulips and hyacinths – including Darwin hybrid tulips often appreciated for their large blooms – will be on display in a palette of colours.